Chrome finished overhead rainfall monsoon shower. 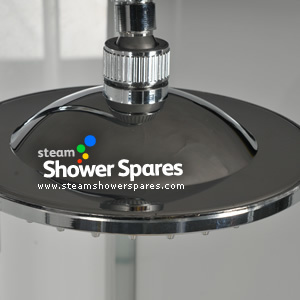 This part is fitted to H88-84* range showers and Crystal shower cabins from AquaLusso. 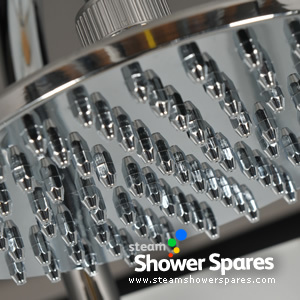 It has a threaded end which connects to a chrome finished 'swivel ball socket' to enable adjustment (part sold separatly). This item has a 30mm threaded fitting on the back that is designed to take the Swivel ball socket to produce a 15mm (standard) threaded fitting suitable for the arm fitting on H88 series and Crystal showers. This is NOT the same item fitted to AquLusso Alto or Opus models.